I'm still loving my new salt slab. I roasted some potato slices on it and are they ever great. Crispy on the outside, yet soft and fluffy on the inside. 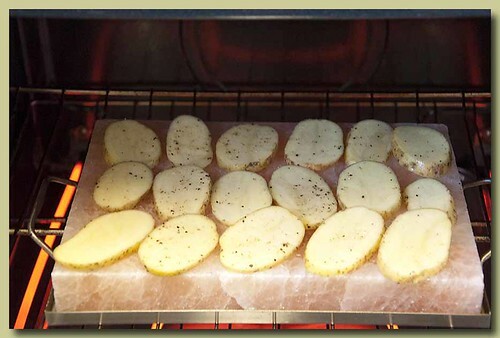 While the salt slab and oven were heating up together to 500*F, I prepped the potatoes. Slice the potatoes. 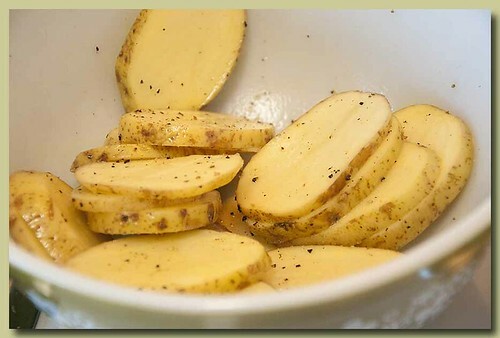 In a bowl toss the sliced potatoes with some olive oil and freshly ground black pepper. 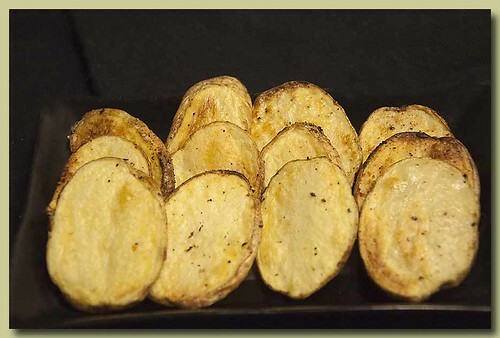 Arrange the sliced potatoes on the salt slab and roast until golden brown. I didn't have to turn them, they were perfectly golden brown on both sides. My new favorite way to roast potatoes.